This classic nursery rhyme reminds us to love and care for all our keepsakes, so they will remain with us for years to come. Now this classic story has been brought to life by Xenis! 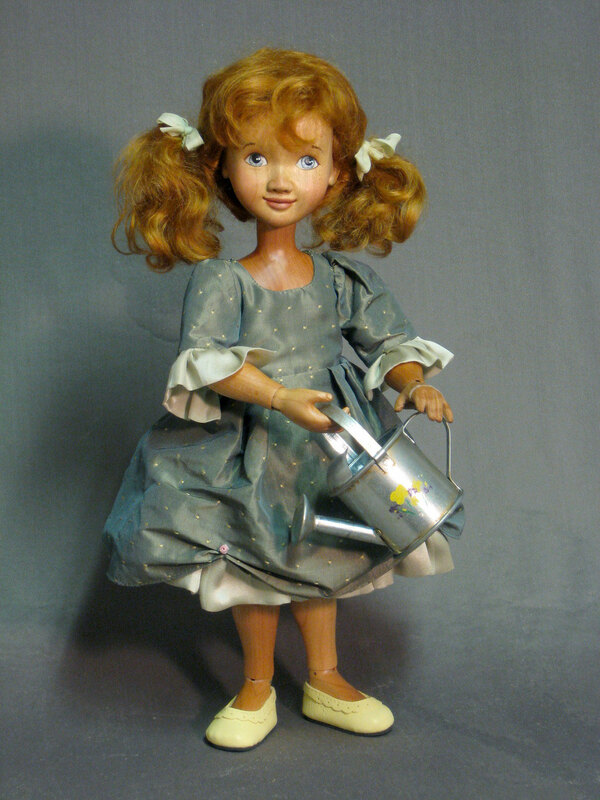 Mary stands 12″ in height and has an amazing 13 moveable ball joints for maximum pose-ability. She is hand carved in wood and dressed in a beautiful, hand sewn silk Dupionni dress which can be removed for cleaning or to change her outfit. Her shoes are leather Mary Jane shoes. Mary's hair is of exquisite, light red mohair with silk ribbons. Her face is hand painted with light washes to allow the beauty of the wood to show through. 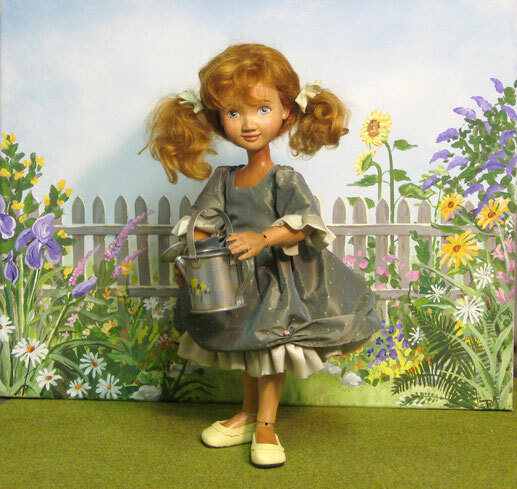 She has beautiful green eyes and pale lips which accent her dress. Mary even comes with a watering can so she can keep her garden growing! Each doll is numbered and signed by the artist on her foot and the accompanying backdrop is signed and numbered to match. Mary can be available within 6 to 8 weeks of ordering.